This week a slightly smaller Verity! crew tackles the Master (but not literally–except maybe in Deb’s dreams). Join Deb, Erika, and Tansy as we cover the different iterations of the Doctor’s arch enemy–from the classy to the crazy and everything in between. See who likes which Master. Find out which Master none of us likes (you can probably guess). Decide for yourself if Delgado’s Master is the same as Peter Pratt’s (we don’t agree). The Memory Cheats – TMDWP 074! New podcasts: Reality Bomb! and Terminus! The splendiferous Splendid Chaps episode “Six/Clothes” that I recorded in Melbourne the other week is now up and available to be listened to! John Richards, Ben McKenzie, Petra Elliott, Zen Fletcher and I gather around some alarmingly tall microphones to discuss the Sixth Doctor, Peri, Mel, 80’s fashion, Glitz, Trial of a Time Lord, why the Doctor’s clothes are important, whether the New Who companions’ clothes date them or not (they do), and whether New Who costuming is just a little too… dare we say “safe”? The episode is capped off by Tim Cav from Dave Wright and the Midnight Electric, doing far greater justice to that well known 1985 hit “Doctor in Distress” than it honestly deserves. The Splendid Chaps hosts in their sartorial finery. I’m almost recovered from my flying visit to Melbourne. Livia Day had an awesome time on Friday at the Sisters in Crime dinner. I wish I had a chance to go to more of these events, it sounds like they have a ball (especially when they roll out their legal/police presenters). And man, do those ladies love books. I hadn’t met my fellow authors Josephine Pennicott & Poppy Gee but the organisers had wrangled copies of our books to be sent to each other which meant we had LOTS to talk about as soon as we saw each other. Lindy Cameron did a fantastic job with the Q&A, making it very clear how much she had read and researched of our work too. Alex and I had more of a cruisy catch up day on Saturday, though I had time to run out and meet Tsana and her lovely husband Lewis for coffee in the morning, and then in the afternoon we zipped off to Collingwood to hang out underneath a pub with some lovely Doctor Who people and a whole bunch of very tall microphones. And this time, she’s written by a woman. Rhianna Pratchett, heir to the Discworld IP and one of the most prominent female writers in the game industry, has been doing a bunch of media about her role as head writer on this new Tomb Raider prequel. It’s rare to hear a writer included so openly in the PR about a new game, especially when that writer is a woman, and Rhianna has some really interesting things to say about the creative choices made for this game, especially in a piece she wrote herself for the Telegraph (though she was quick to point out on Facebook that the awful title of the piece was NOT chosen by her). Don’t read the comments of this one, they will ruin your day. Meanwhile, Gail Simone has been signed up to write for Red Sonja which immediately makes me interested in the character in a way I never have been before. A female warrior mostly portrayed as a male fantasy, now in the hands of a smart writer who does smart characterisation? BRING IT. Oh, and as an added bonus, while the regular artist is male, the covers will be handled by all female artists including HELL YEAH FIONA STAPLES, our own Aussie Nicola Scott, Jenny Frisson, Stephania Buscema and Colleen Doran. Back to the book industry! The big dramatic discussion of the week was the terrible boilerplate contract offered by Random House Hydra, one of several new digital imprints of the Big Publisher. Scalzi and the SFWA Writer Beware blog had much to say about this contract, and its most problematic aspects – if a publisher is not paying advances AND charging the author for set up costs, then exactly what investment are they bringing to the table? A recent update on Writer Beware includes the response of Random House. Thanks to the wonderful editing skills of Erika (@hollygodarkly) we have put up a Verity!Extra! podcast this week – featuring a discussion on Doctor Who Companions and their Clothes. We’ve all had those conversations, right? About the crazy Jo Grant Couture, Amy Pond’s tiny skirts, the adorable go-go boots worn by Polly and Liz Shaw, the alarmingly short shorts sported by Turlough in Planet of Fire, and OH what horrendous crimes against the human body did they force Nicola Bryant into for almost all of her run as Peri? Not to mention Ian’s obsession with Barbara’s combat cardigans, Tegan’s endless flight attendant uniform, Nyssa’s crushed velvet, the modern vs. classic companion attitude to high heels, and whether or not you could actually hunt a Sontaran while wearing Leela’s leathers. Elsewhere on the Internet: Mind Meld, TPP & Verity! Over at the MindMeld, I answer the question of ‘what books do people expect you to like but don’t?’ If nothing else, head over to hear my spirited rant about the sinister work of Beatrix Potter. The Twelfth Planet Press website has been updated for the new shiny year! Head over, admire its shinyness, and while you’re there you might want to consider pre-ordering the upcoming 2013 titles from Livia Day, Andrew Macrae, and the next in the Twelve Planets series: Asymmetry by Thoraiya Dyer. All this, and the first “real” episode of Verity! was published today! We review The Snowmen, talk about Clara’s frocks, the new credits sequence, Vastra and Jenny’s marriage, the return of Strax, kissing in Doctor Who, plus Liz gets to bounce about the Great Intelligence. We start as we mean to go on! Check out Deborah Stanish’s post on how she got the band together. 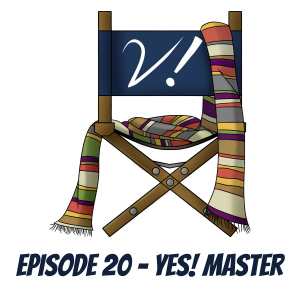 You can subscribe to us at iTunes (Doctor Who: Verity Podcast), like us at VerityPodcast on Facebook, follow us on Twitter as @VerityPodcast or even all three! EDIT: I forgot the other thing I meant to add to this post! My award-winning short story “The Patrician” has been reprinted in Apex Magazine, which is a lovely way to ring in the new year! It’s hard to imagine that there’s anything on the internet except the Aussie Spec Fic Snapshot right now – I’m so proud of the team for being prepared for once (more than a month’s solid work has gone into this year’s effort) and for providing space for so many different voices (all screaming out at once… no wait, that was a different movie). Hooray to Tehani & Kathryn for the organising, and all of our new interviewers. A special big HOORAY for the kind and thoughtful Ben Payne who twigged early on what element was missing from the Snapshot, and provided several-times-daily summaries of the 2012 Snapshot AS – IT – HAPPENED. My own snapshot appears here on Random Alex’s blog. And incidentally a blast from the past turned up in my RSS feed, which threw up this old post of Alex’s talking about OMG OUR FIRST PODCAST. I haven’t dared follow the link to find the artefact itself. Dare you? Ian Mond is notable for being one of the last of the great Jewish podcasters (cf Josh Kinal, Alisa Krasnostein). His solo podcasts Writer and the Critic and Shooting The Poo not only demonstrate a breadth of knowledge on a vast array of subjects, but also an astonishing vocal flexibility – who knew that Kirstyn McDermott, Mitch and Dave Hoskin were just facets of Mond’s personality. He also wrote a couple of Doctor Who and Bernice Summerfield short stories, but no-one talks about them much. 1. The Writer and the Critic has become an integral part of the Aussie spec fic scene very fast – and you don’t even talk about spec fic books all the time! What does podcasting offer you, as a social medium or a creative one? Thanks, it’s nice to feel integral. As a social medium podcasting provides me with an excuse to catch up with Kirstyn every month. Which I know sounds like I don’t make enough time for my friends – but, well, that’s actually the truth. I’ve also enjoyed the twitter exchanges directly following a podcast, usually involving Cheryl Morgan, Charles Tan and Jonathan Strahan (in the case of Jonathan it’s usually bemoaning how long the podcast is). The chat on the twitters makes the podcast feel alive and organic and part of a real time dialogue between us and the people who listen. In which we celebrate the World Fantasy Awards, take on the Kickstarter phenomenon and why people like to support authors/artists directly, Alex is betrayed by Isobelle Carmody, Alisa still can’t finish Tansy’s novel, and we indulge in a feedback frenzy. Hurry over to Podbean or iTunes now to get the new episode! Or just sit back, relax and read the show notes. Matt Forbeck – 12 novels in 12 months. Catherynne Valente’s Omikuji project looking for subscribers in order to keep the project going.